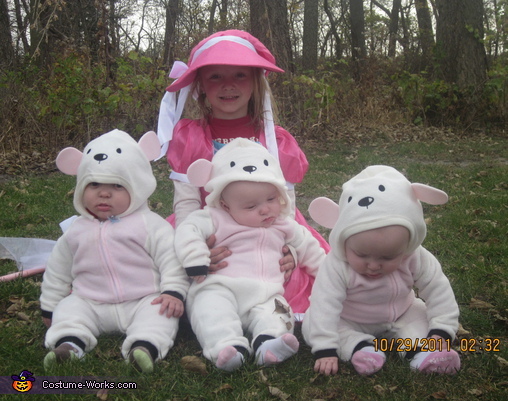 Regan is my 5 year old and the three sheep are my 7 mo triplets Rex, Reese, and Riley. Are you kidding Me! They are beautiful. We have a family in my town that has the same situation. She dress them as the Big Bad Wolf and 3 little pigs. Have a ball with them! !